Levon Zurabyan: "We must be ready for mutual concessions"
The statement that the team of Nikol Pashinyan who came to power in Armenia is just members of the Levon Ter-Petrosian team is wrong. Today they are two independent political forces, which earlier, in 2008, were on one side of the barricades. The head of the parliamentary faction of the Armenian National Congress in the former parliament, and now one of the leaders of this political organization, headed by the former President of Armenia Levon Ter-Petrosyan, said this in an interview with Turan. When asked what the program of the Pashinyan government is, our interlocutor said the elections had just been held, a new parliament had been formed and the government still had to present its program. "We will compare, criticize or support when we see their program. From the moment of coming to power, the Pashinyan team was no longer engaged in state affairs, but in political struggle, since the parliament consisted mainly of representatives of the old regime. Under the conditions of such a dual power, it was not right to talk about a program of governing the country. Now, having won a majority in the parliament, Pashinyan was able to put forward a program and start acting. That's when assessments will follow," said Zurabyan. To the question what was the reason for the "velvet revolution" and the success of Pashinyan"s team, our interlocutor answered: "No people in the world like corruption and restriction of freedoms. Everyone wants democracy and equal opportunity to create. This is exactly what was not available in Armenia. This was the main reason for the protests and the velvet revolution. We like to rally, and when we do not like something, we express it, and these protests have always been peaceful, with the only exception is March 1, 2008. Then, for the first time in the history of Armenia, the authorities used force against their own people. And the recent change of power is a confirmation that the people did not accept this and took to the streets when the threat sounded to use force again, as in March 2008." To the question what caused the criminal prosecution of ex-President Robert Kocharian and the former military leadership of Armenia, Zurabyan replied that he considered this an internal issue of his country and would not like to discuss this topic with the Azerbaijani press. At the same time, he said that "there is a healing process going on there, which should show that none of the statesmen and officials should cross a certain line." How justified are the claims that there is a conflict or contradiction between Yerevan Armenians and Karabakh? According to Zurabyan, there is no conflict. This topic is speculated by certain individuals to use for their political purposes. "In Armenia and Karabakh, people understand that these are meaningless and harmful conversations," Zurabyan said. How relevant are the thoughts expressed by Levon Ter-Petrosyan in 1997 in his famous article "War or Peace: Is It Time to Become More Serious?" According to Zurabyan, the thoughts expressed there are relevant, but the world has changed. "The then awareness of the strategic interests of Armenia was true, but now the situation has changed. Therefore, to say that everything said in this article is applicable today would be untrue," said Zurabyan, highlighting the changing geopolitical situation and, above all, the escalation of the Cold War between the West and Russia. In 1997, Azerbaijan did not have such oil revenues and such weapons as today, said our source. Does this mean that the situation has worsened for Armenia? Zurabyan answered this question that "the situation cannot be assessed only by this factor alone". "And the situation has worsened not only for Armenia, but also for Azerbaijan," he said, without specifying what had worsened for Azerbaijan. When asked to clarify what he had in mind, Zurabyan said that "in Azerbaijan, many perceive the status quo as a problem that cannot be solved." In the above-mentioned article by Ter-Petrosyan there is a catch phrase: "Today we are refusing what we will ask for tomorrow, but we will not be given that" (The talk is about a phased settlement, implying the liberation of the areas around Karabakh, as the first step in the settlement - Ed.). Does Armenia fear that in the event of a new war, the conquered territories will be lost? Wouldn't it be better to agree now and get something in return? Zurabyan answered this question that in the same article Ter-Petrosyan said that in the event of a new war, Azerbaijan could lose new territories and should not think that it would win. "We must be prepared for concessions, mutual concessions. Azerbaijan must realize that without this nothing is possible," Zurabyan said. In 1997, the government of Ter Petrosyan adopted a phased settlement option. Is it possible to use this plan today? Zurabyan answered this question in the following way: "From this document, which was published, it follows that three parties agree - Azerbaijan, Armenia and Nagorno-Karabakh. The document says that the status of Karabakh will be determined in the course of subsequent negotiations. This means that Karabakh receives a certain right of veto on any option that does not suit it. Therefore, the 1997 version actually meant the internationally recognized status of Nagorno-Karabakh. Then this option was arranged by Azerbaijan and Armenia, but did not suit Nagorno-Karabakh." On the question of whether this can be considered a missed opportunity to settle the problem, Zurabyan gave a concise answer, "Of course." 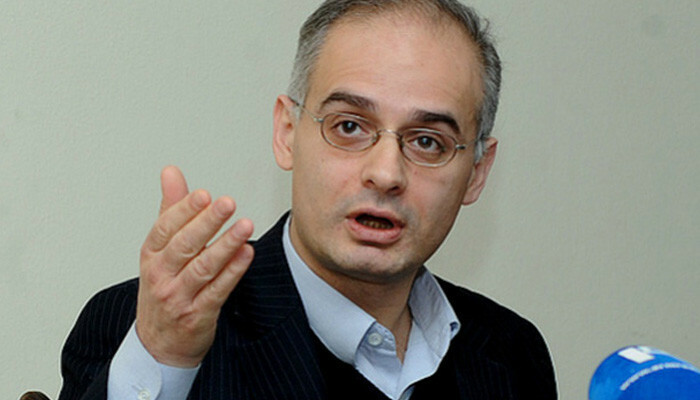 "What is the reason for the refusal of Karabakh from this option? It is that Karabakh looks at this problem as a question of self-determination. We never talked about territorial claims to Azerbaijan. The formula of Ter Petrosyan was expressed in the following way: everything that suits Azerbaijan and Karabakh also suits Armenia. It was Baku"s task to negotiate with Karabakh. Here, take Scotland: some forces want independence and London enters into negotiations with them, trying to convince them, or offers something, and the Scots decide to stay or leave the United Kingdom. Unfortunately, Baku did not take the path of dialogue. The incident of the war brought a lot of destruction and casualties and economic losses and poisoned the atmosphere of the entire region." What did Baku have to do in order for the Karabakh people to withdraw the question of secession? To this Zurabyan said: "Any central government should provide the regions with a set of important conditions that it considers its own: security, the right to democracy, and civil rights. If it were and the Karabakh people knew that they could live and develop peacefully, and there were all possibilities for them, why would they separate? Now Karabakh people believe that they have no place in Azerbaijan - they will be expelled or subjected to discrimination." How can we explain the violent reaction of the political forces of Armenia and Karabakh to the words of the former US ambassador to Armenia Richard Miles, who was surprised at the refusal of Armenians to return the territories around Karabakh in exchange for the status? Zurabyan answered this question that such an opinion was not expressed by the official authorities of Armenia. As for those who are on the maximalist positions, "such nationalists are everywhere in Azerbaijan." "You can be part of a state that respects your rights to freedom and security. Can Azerbaijan provide such opportunities now? What I am saying may be perceived as interfering in your internal affairs, but you do not give such guarantees even to your own citizens. We see how the freedoms and rights of the citizens of Azerbaijan are guaranteed. In the context of Karabakh, it sounds like this: if you are not able to secure or give rights even to your citizens, how can you ensure the rights of Karabakh people? Against this background, no one will ever agree to any kind of high status within Azerbaijan. Therefore, in order to persuade the Karabakh people to return, Azerbaijan must change," Zurabyan said. The objection that at the very beginning of the conflict, in 1988, targeted, multi-million programs were adopted on the socio-economic development of Nagorno-Karabakh, ensuring and guaranteeing all the rights of Karabakh and Armenians in Baku, but the Armenian side rejected all this and went to open conflict with Baku, was not accepted by Zurabyan. He does not agree with the fact that for Armenians the main thing was reunification with Armenia - the idea of M​iatsum, and not economics or rights. And the question was to fight to the end and make any sacrifices no matter what. "Those 400 million rubles, which Gorbachev gave for the social and economic development of the Nagorno-Karabakh Autonomous Region (NKAR), were actually given to Azerbaijan, and not to the authorities of Karabakh. At the same time, Baku used these funds to develop the Azerbaijani settlements of Karabakh and change the demographic situation," Zurabyan said. He does not accept the objection that the Armenian side refused to accept funds from Baku, because it did not recognize the authorities of Azerbaijan. "If someone does not recognize you, then your task is to persuade, to gain confidence. If they didn"t accept help, it means they were not promised enough, they were not convinced enough," our interlocutor said. When asked what role emissaries from Armenia, who interfered and blocked such contacts, intimidated and threatened those who were ready for dialogue, played in this, Zurabyan answered this way: Ultra-nationalists and extremists are everywhere in Azerbaijan too, and they will always interfere. "When solving such sensitive problems, one should go to a civilized dialogue, and not use violence. I am sure that in the future, when the conflict is resolved, we will have excellent relations with Azerbaijan and Turkey. These are the closest and natural economic partners of Armenia. We must abandon the idea of ​​being a dominant and a desire to devour another nation," he says. Why, then, did the Armenian side abandon the idea of ​​laying an oil pipeline through Armenia in the mid-1990s, which could become the basis for mutual trust and the beginning of a settlement? Zurabyan, who was a member of the ruling team in Armenia in those years, explained this by saying that the proposal was rejected because the Armenian side could not make the settlement issue dependent on the oil pipeline. He believes that even if Ter-Petrosyan remained in power, this project would not have been implemented. "The issue of laying the pipeline was strictly linked to the resolution of the Karabakh conflict. However, political guarantees are more important than economic benefits. We could not put the issue of peace in dependence on some kind of oil pipeline. The settlement issue is not a bargaining issue," Zurabyan said. By refusing the Baku-Ceyhan pipeline, Armenia lost the possibility of laying the Baku-Erzurum gas pipeline through its territory, and then the Baku-Kars railway. Thus, the Armenian side lost not only great economic benefits, but also leverage over Azerbaijan. Such a position has led to the strengthening of the economic and military potential of Azerbaijan and the toughening of its position on the settlement issue. Does it seem to Armenians that they were the losers? On this question, Zurabyan noted that now it"s not too late to take some steps: open roads and establish contacts with Karabakh people. Then Azerbaijan would receive some kind of leverage over Karabakh and Armenia. Referring to the conflict itself, our interlocutor stressed that, apart from the conflict participants themselves - Armenians and Azerbaijanis, there are also external participants. "The resolution of the conflict is not limited to reaching an agreement between Armenia, Azerbaijan and Nagorno-Karabakh. The decision should also be in the interests of the great powers. And these interests influence the achievement of a settlement. This process began immediately at the beginning of the conflict: on the one hand it was the West in the person of the CSCE (now the OSCE), and on the other hand it was Russia. There was competition between them. This problem was formally solved in 1994 at the initiative of the Armenian side, when the West and Russia joined forces on this issue. In 1997, France joined this process. But how difficult is it for the OSCE Minsk Group to find a balance in these interests is hard to say. In words, they speak with one voice, but at the same time other processes are going on behind the scenes," Zurabyan noted. Is it possible to consider as a manifestation of external intervention the disruption of the agreements reached between Baku and Yerevan in Tehran on May 7, 1992, when the Armenians occupied Shusha the next day? This was not the result of external interference, Zurabyan said. "This is the logic of the conflict. There were secret springs of this conflict, which I will not touch," he said, refuting the allegations of the Karabakh forces commander Arkady Ter-Tadevosyan that Yerevan was against the seizure of Shushi and the Karabakh people conducted this operation contrary to the demands of Yerevan. "Everything was different," our interlocutor said shortly, justifying the attack on Shusha, "where the real threat for Stepanakert came from." What will happen to the Armenian-Azerbaijani relations in the near future? According to Zurabyan, nothing good will take place. "I do not see real progress in the settlement process. The main problem is the lack of trust. That is why, any assignment becomes dangerous. Therefore, decisive steps are needed: it is necessary to go to the opening of borders and to direct communication. This is very important for establishing trust. We need to negotiate. What prevents Ilham Aliyev from meeting with Bako Sahakyan? After all, you consider Karabakh residents to be your citizens. In democratic Azerbaijan, all people are equal regardless of nationality and faith. Talk to your citizens. Let today not agree on the status, but agree on the preliminary status, on some guarantees. Maybe something very important about the future status can be given today to convince the Karabakh people that they are the rulers of their own destiny. True, Azerbaijan can say: today they will want it, but tomorrow they will want even more, but there is no alternative to this."